This week on Talking in Stations we are going to look at the comeback of Circle of Two with Da Winci. Then we’ll discuss the unfolding drama between the Eve Online and Star Citizen communities with Jibrish. We’ll take a look at the CSM election results with Suitonia and with the player one old chat log away from the CSM, Tikktokk. Rounding out today’s show to give us this week’s News of the Universe we have Hugh Caswakk. [CO2] Briefly go through the timeline of the alliance exiting the south, settling into Vale of the Silent and moving outwards from there. What is Da Winci’s role in Co2? Can you walk us through the decision to move to Fade? What’s happening with Co2’s sov in Vale? Has recent history of constant relocating affected mainline Co2 Pilots? What’s the atmosphere within the alliance considering many Co2 pilots enjoyed the Independent nature of Co2 before the gigx ban? Roberts Space Industries Unveiled their new ship design for a class that was publicly voted for by SC backers Called the Drake Industries Vulture. 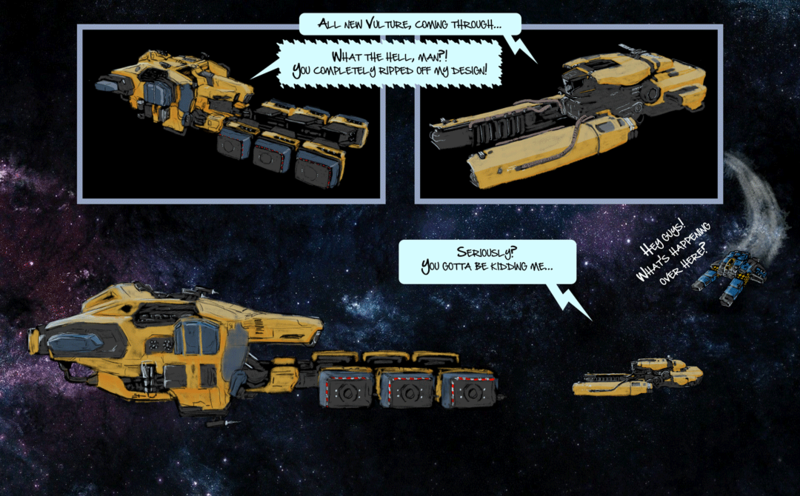 \Ship is part of the Drake Industries shipbuilders Lineup but bears much more than just a passing resemblance to Eve’s very own Venture. 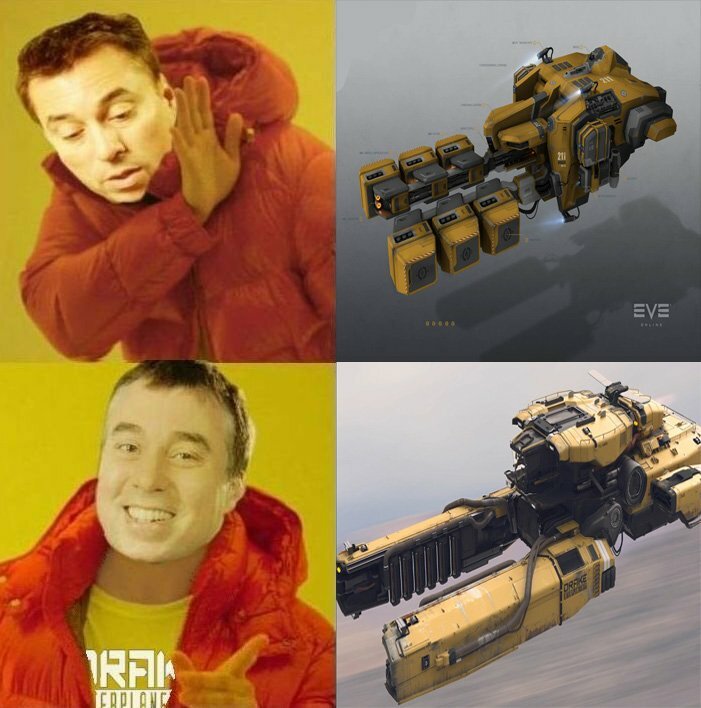 SC’s Drake Industries Ships all have Industry themed Yellow Paintjobs / Accents. Ship is meant to be a small salvaging vessel. Ship design has been claimed to be the simplest logical form for that function. Due to Eve players having broad interests in Sci-Fi it was noticed quickly with Eve players independently drawing attention to similarities on SC’s subreddit. This over a short period this grew exponentially, fueled by SC communities reactionary outcry. little pokes by CCP on twitter after being alerted to it by the reddit community. Subreddit Mods got involved. Accusations of Vote-brigading were flung. How represented are all constituents of the game and its communities going to be on CSM13? Is low unique player voting turnout a symptom of a perpetual cycle of famous players who have giant coalitions that ‘lobby’ on their behalf or is a cause of the voting systems trickle down effect, or perhaps another problem. How has vote buying via skill injector farms affected CSM13 and should buying vote and using skill injector farms to vote be allowed / Restricted? Will CCP ever achieve a one person one vote system, instead of the current one account one vote? 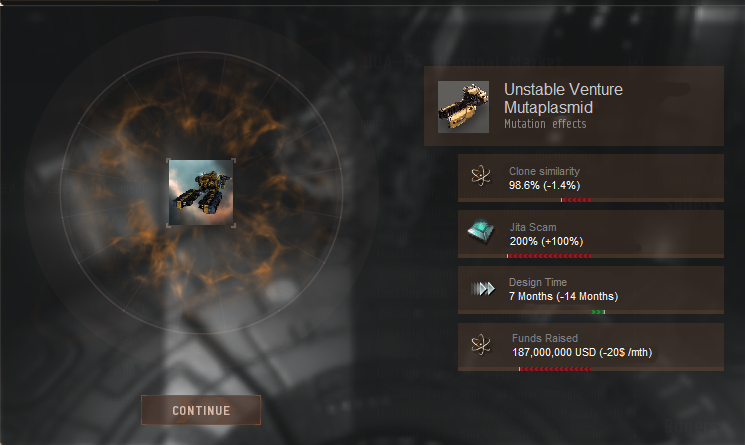 – CCP Guard being a marketing GOD!